Hydro Turbine From 3 kW up to 30 MW. Micro Turbines are available with the output power range of 5 to 50 KW. The classic for the low head ranges and high flow rates. Available up to an output of 5 MW. Standardized design, highest efficiency and precision workmanship guarantee exceptional profitability and a long lifetime. 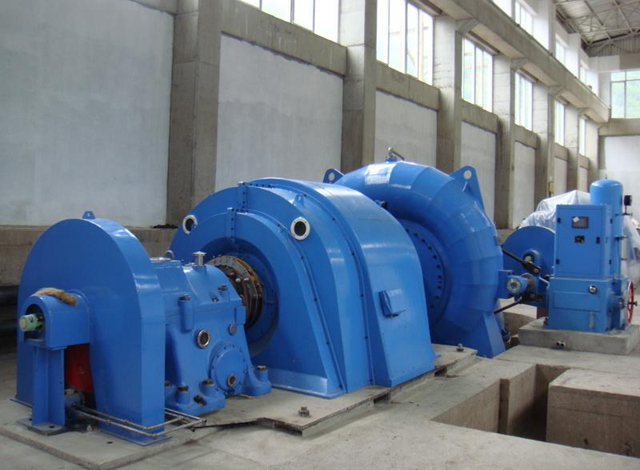 Francis turbines are available with output up to 10 MW. Available up to an output of 5 MW. Standardized design, highest efficiency and precision workmanship guarantee exceptional profitability and a long lifetime. Compact design due to direct mounting of runner onto the generator shaft. Pelton Turbines are used for higher heads and a smaller flows. They are exposed to enormous forces due to the high pressure application. Highest quality, from the raw materials to the manufacture, is therefore of outmost importance. The heart of every modern hydropower plant is a high-performance, automatic control system. Process visualisation, monitoring and remote control systems offering the possibility for remote diagnostics and maintenance are gaining more and more in importance. The control, monitoring and troubleshooting of the hydropower plants via a fixed or mobile telephone connection either from home or on the way can be implemented. Hence longer down-times and loss of production can be avoided effectively.